So everyone has a genre they love. Something they just can't get enough of; a theme that they devour with an unending appetite and crave in any media format they can find. Now that winter is coming, or rather already upon us, I figured I would share mine and give some recommendations. Yes, you read that right. I love scary stories set in a frigid setting, where the cold and snow are just as important of characters as any human (or ghost or arctic creature) is in the story. I live in Wisconsin and we are known for pretty rough winters here....and I live in the southern part. Now our winters aren't as bad as places farther north like Canada and countries that fall within the arctic circle, but as far as the United States go, we get lots of snow and cold (Ice Bowl anyone???). Plus, I have always found the fall and winter seasons as the most enjoyable. Just as being lost in a snow storm with the threat of hypothermia is terrifying, there is nothing cozier than being wrapped up warm in a blanket by the fire with some tea and a good book while the snow falls outside....bonus points if you have a cat on your lap! So without further ado, here is a list of some of my favorite books, movies, TV shows, and podcasts of mysterious and spooky going-on's in the most northern or southern parts of our world! Do you have any cold weather horror that you can recommend to me??? This list is too small! I want more! I read this book many years ago in a very rainy spring. I remember being curled up in my chair unable to put this book down, completely riveted by the plight of the ship and its crew as the rain beat against my window, which was cracked to let in the chilly but fresh air after a long winter. I can't lie to you guys, I can't give you many more details on why I love this book so much because it has been so long since I read it and I don't remember much of the finer points, but as I was on Amazon getting the link for this book I ordered my own copy so I can read it again! January 1937. 28-year-old Jack is poor, lonely and desperate to change his life. So when he's offered the chance to join an Arctic expedition, he jumps at it. After they reach the remote, uninhabited bay where they will camp for the next year, Gruhuken, Jack feels a creeping unease. One by one, his companions are forced to leave... This book was pretty creepy and I read it at least once a year! I like both of these movies although I think the original is a bit better. I remember watching it with my dad for the first time, and I have watched it, both versions, many times since. It is about a crew of scientists in Antarctica who find an alien space craft....and something that was with it. Ok, let me just start by saying that Yrsa Sigurðardóttir is one of my favorite writers of all time. I devour her books. I long for them. My days are marked by how long until she releases a new book (ok well not really but you get the point). Long story short, she is amazing and you need to go read all her stuff right now. Go. What are you still doing here??? Go read her stuff! Anyways, I was nearing bed time on a Sunday night when I was mindlessly browsing Vudu wishing to God a new and semi-decent movie would magically appear before my eyes. AND IT DID! I was horrified to realize that I did not know that one of her books was being made into a movie and even more horrified to realize it took me almost a month to find it! This movie was *amazing*. It was creepy and beautiful and wonderful. There are actually two stories occurring at once. One is about a group of friends who purchase an old house in a remote and deserted town with the plan to turn it into a bed and breakfast. The second is about a doctor in the city who is helping to solve the murder of an old woman in a church, with a very slow buildup of how these two stories are connected. I would give this movie 10 out of 10 stars. Check it out today! I binged watched season one in liked a day and a half, staying up way to late for a work night. I just couldn't stop watching. I loved this show because it kept me guessing right up until the end what exactly what was going on. Was it supernatural? Weird science?? Aliens??? It was summer when I watched season one and it made me long for snow and cold frosty days. I almost cried last month when I realized season two was out I was so happy. Fortunately (haha) I was sick as a dog and was stuck at home so I watched the entire second season in a day and a half again. Go. Watch now. And if you don't have Amazon Prime I would recommend getting it so you can watch this. So this isn't exactly horror in the supernatural sense which is what I really enjoy. But I also really love detective/mystery/police procedural set in Scandinavia. I can't tell you how much money I have spent on books of this genre (I plan to do a post on this subject in the future). I am including this show because I really enjoyed it and because it is scary in the sense that there is a murder in town and because of a blizzard you couldn't get away even if you wanted to. Despite the beautiful and open Icelandic scenery the fear of not knowing who among you was the killer still made everything feel very claustrophobic. Arctic horror in podcast form you ask?? Yes, I say! It is true. Now all forms of media have been covered. In this show you follow the collected records of a repair team sent to Outpost Fristed in the vast white wastes of Svalbard and unravel what lies waiting in the ice below. 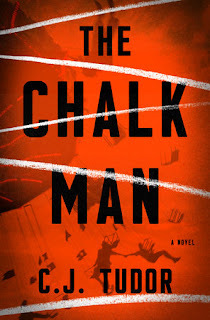 It is really good and I am always waiting in suspense for the next installment. If you like podcasts, check this out today! So that is it for now. But as I discover more, I will update this post. And again, if you know of anything I have missed, please let me know! I have mixed feelings about this book. When I first read about it I was extremely excited about it. However when I began to read it I found it hard to really get into. The writing was excellent and the story was interesting, so I can't quite say why I wasn't 'wowed' with it. I guess maybe I was a little let down. 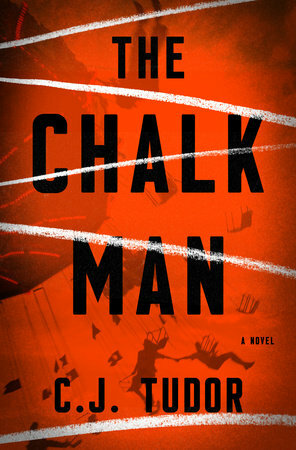 In my opinion the chalk figures didn't seem to have as big a role as I would have liked. They were there, don't get me wrong, but they weren't as present as I had hoped and they certainly weren't as important as I thought. Plus at times it felt very slow and I wondered when the next thing that would actually matter would occur. Maybe it was because I felt the main character did a bit to much pondering and monologue-ing to the reader than need be. I also didn't get very attached to any of the characters, which is what really draws me into a book. The character of Nicky felt more like a plot devise than anyone I would actually want to learn more about and the others didn't have much special about them either. I will say that I was kept guessing and there were many plot twists that I wasn't expecting. Overall I would recommend this book to anyone who wanted to read a murder mystery with a little creepiness. I give this book 3 out of 5 stars. 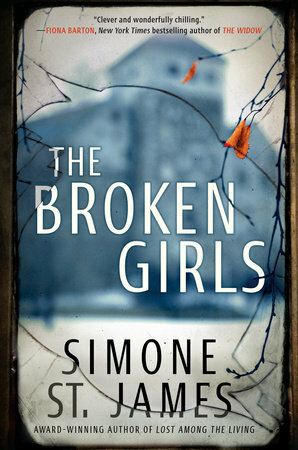 The Broken Girls by Simone St. James is the first book I read through the 'Penguin First to Read' program. I have read one other book by her in the past, The Haunting of Maddy Clare, and I enjoyed it immensely so I was super excited to be chosen to read an advanced copy of this book. First off let me say that there a few plot devices that I am always a sucker for in books and this book had one of my favorites. Creepy and potentially haunted institution? Check. In this case it was boarding school, Idlewild Hall, that the girls attended. It was suitably creepy and mysterious and filled with all the conflicting personalities that you would expect in a place where people were forced to live together and most of them against their will. The book bounces back and forth between this setting and the present. The four main characters for these parts of the book are all very well written and you find yourself really feeling sympathetic for them. There is one scene in particular, set during a detention period, that really gave me the chills. While the past is a ghost story, the present is a murder mystery staring reporter Fiona Sheridan. She is another character who is also very believable because she is not perfect and has plenty of flaws. 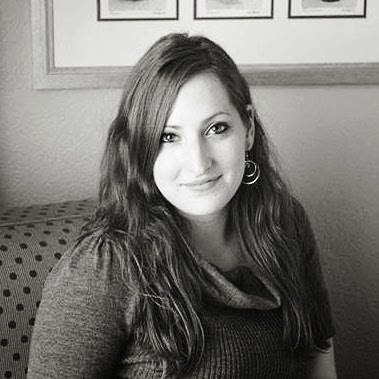 I found myself very engaged with finding out the truth about her sister right along side her. I read this book very quickly because I found it hard to set down. Part ghost story, part historical fiction, part murder mystery; it had everything I look for in a book and I am sure that anyone who picks it up will enjoy it as well. A perfect read for those cold and rainy fall days! Hello and welcome to Maple and Oak! I hope you enjoy your time here and find something inspiring or a new book to try!